Here in our office for divorce and family law in Williamsburg VA, the subject of mediation comes up quite often. Divorce is believed to be among the most stressful events you’ll go through in your lifetime. Whether a divorce is uncontested or contested, not all divorces must be contentious, and not all couples want to wind up in litigation. The fact is that as unpleasant as divorce issues are, it doesn’t necessarily need to be a battle. This is especially true if you and your spouse are ready to work out your divorce amicably. If that is the case, then there are several advantages to using mediation, as opposed to going to court. 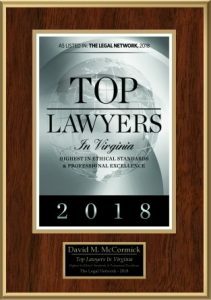 It doesn’t matter whether you get your divorce mediation in Williamsburg or elsewhere in Hampton Roads, these are a few positive points that you will appreciate. People who mediate often come out of their divorce with improved communication abilities and self-confidence, and agreements they’re able to really live with. Mediation is a more private than divorce litigation. It gives couples the opportunity to begin the process of accepting an entirely new mindset about the future that lays before them. For many customers, the ideal reason for picking mediation is going to be the cost. It is much more affordable than litigation. It allows the parties complete control of the outcome. It is about what will happen in the future, not what has happened in the past. The bottom-line is even when you don’t think you’re going to be able to agree to everything, mediation can help you resolve some issues, so you can concentrate on the issues you haven’t resolved and have a judge decide on those. Although divorce mediation in Williamsburg or elsewhere is acceptable for some couples, it isn’t right for everybody and it has several disadvantages in comparison to classic divorce. Mediation may not offer you enough protection and structure that you are seeking. It requires both parties to meet with each other in order to reach a decision together. When choosing a mediator, it is important to remember that the mediator won’t make you reach an agreement. He or she will be with you through the process and generally, must have an excellent reason to withdraw. A mediator isn’t a judge. He has no power to impose a decision on the husband and the wife. Their real advantage is to help identify the essential issues to every party so they can work through them. During the mediation, the mediator isn’t permitted to decide on sides or choose a winner. He can assist the couple with developing a variety of options so that the spouses can fashion an agreement that will work for them. Even if he is a lawyer, he or she should not offer legal advice. He cannot provide individualized legal advice but can provide neutral education about legal principals and information about guidelines and criteria that are used to analyze common issues. Each divorce mediator has her or his own preferences for the way the mediation occurs. If you think mediation may be a good option for you, call our office and schedule a free consultation today.